A gaggle of second graders wearing bumblebee-yellow T-shirts with a telltale black horizontal squiggle across the middle were on hand to help welcome the Museum of Science and Industry’s latest temporary exhibit, “Charlie Brown and the Great Exhibit,” on loan from the Charles M. Schulz Museum and Research Center in California. As MSI CEO David Mosena talked about the creativity in us all, one second grader licked the back of her hands in a very doglike manner. Little did she know that that was something Snoopy would never do, seeing as he was a highly sophisticated canine who walked on his hind legs and always received more Valentines than owner Charlie Brown. But if anything, that little girl highlighted the importance of passing on the magic of the beloved Peanuts cartoon strips and its accompanying television specials to a new audience. Like the comics themselves, the exhibit has enough stuff to satisfy both kids and parents. It pays tribute to Schulz with an illuminating timeline of his life. 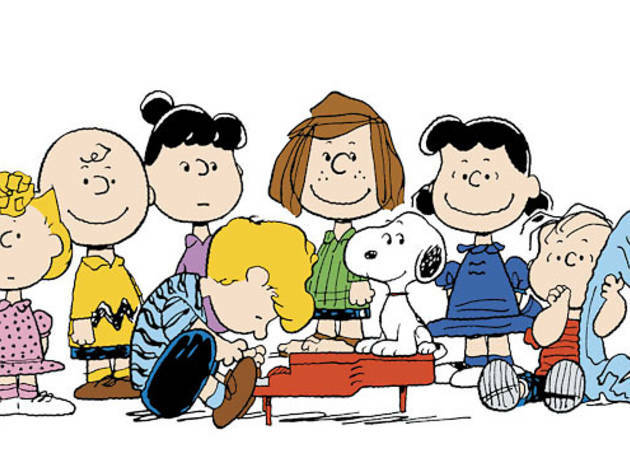 You can see photographs of the black-and-white dog named Sparky, who helped birth Snoopy, and of Donna Johnson, the red-haired dame behind Charlie Brown’s famous declarations of (unrequited) love. There’s a well-done re-creation of Schulz’s office studio, complete with his original desk and vintage photographs. Giant blowups of the gang line the walls, and text panels track their character evolutions, often with interesting trivia. For example: Woodstock, the feisty canary, was actually named after the legendary musical festival. There’s a life-size Schroeder piano children will love stomping all over, a Snoopy doghouse and a “Color Snoopy” screen, where tots can go crazy with digital markers. But the real magic is in ten of the original, painstakingly drawn comic strips (Schulz did all 17,897 of them over a 50-year period). They still make you laugh and still make you feel just a teensy weensy bit sad. It’s well worth the trip. 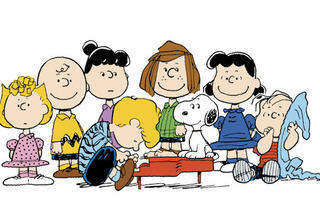 “Charlie Brown and the Great Exhibit” runs through February 18 at the Museum of Science and Industry.